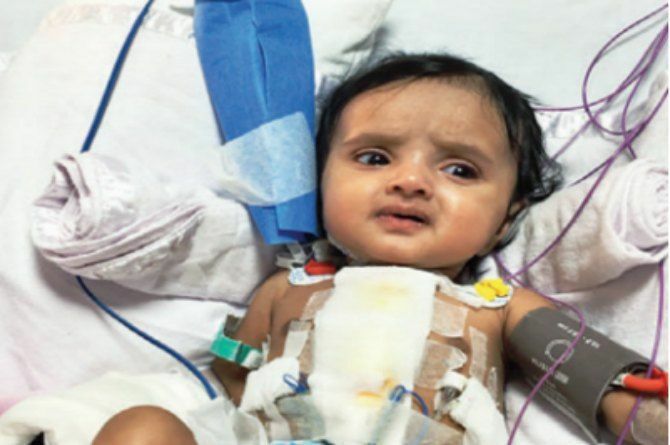 In what can be called the most shocking news of the day, a four-month-old baby from Solapur suffered from more than 20 heart attacks in a period of two months before she underwent a crucial cardiac surgery in a hospital in Mumbai. The baby, who’s named Aditi Gilbile, has had a successful operation and the doctors say that she would be able to lead a normal life after a period of nine to eight months say the doctors who operate on her. Aditi’s case could be labeled as a rare congenital malfunction as it affects only one in three lakh children. 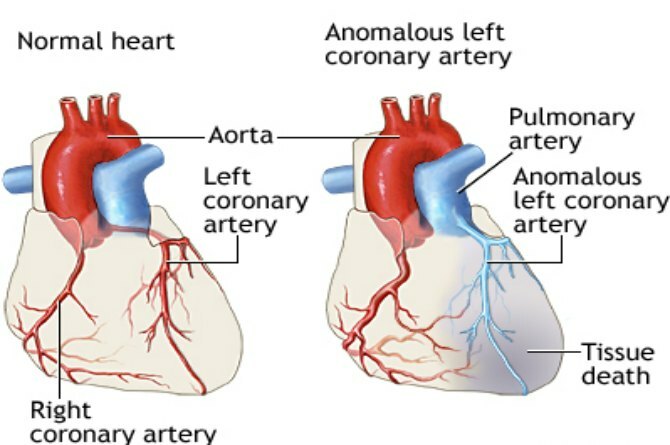 Known as the Anomalous Left Coronary Artery from Pulmonary Artery (ALCAPA), the defect arises from a malfunctioning of the heart’s main ventricle, which does the main job of supplying oxygen to the body. This leads to a decreased blood supply to the heart, which suffers from multiple heart attacks in the process. ALCAPA accounts for just 0.25% to 0.5% of cases among all congenital heart problems. According to the US National Library of Medicine, ALCAPA usually occurs when the baby's heart is developing in early pregnancy due to which the developing blood vessels in the heart do not connect correctly. In the normal heart, the left coronary artery starts in the aorta. The aorta is the major blood vessel that takes oxygen-rich blood from the heart to the rest of the body. In children with ALCAPA, the left coronary artery starts at the pulmonary artery. The pulmonary artery is the major blood vessel that takes oxygen-poor blood from the heart to the lungs. The little girl starting showing symptoms of the heart defect when she was two months old in January. She would be unusually irritable and her breathing and feeding patterns started to change. "She would sweat profusely and refused to breastfeed. We rushed her to a doctor the day she bawled incessantly for three hours," said the mother, adding that her weight gain was also affected, as reported by a leading National daily. A doctor in their hometown then spotted the problem and routed them to Pune, where ALCAPA was diagnosed. Aditi was finally operated on February 21 at the HN Reliance Hospital in Charni Road, Mumbai. "In normal babies, pressure in the lungs normalize within a week of birth. In Aditi's case, the pure blood was flowing away from the heart. It resulted in frequent and silent heart attacks that damaged heart muscles. It is a delicate surgery as we are dealing with tubes of 1-2mm in size, and the baby's heart function down to 10-15%,"said Dr Shivaprakash, head of the paediatric heart centre to the media. Chief of paediatric intensive care, Dr Amish Vora, said, "The child's heart was weak after surgery and needed all medicines and dialysis for three days. She has now been taken off artificial support." The doctors agree that the child will lead a healthy and normal life and would be discharged in two to three days. Here's wishing Aditi a speedy recovery and hope that she leaves a healthy life! If you have any insights, questions or comments regarding the article, please share them in our Comment box below.